We’ve just had a bank holiday weekend and my intention was to cook muffins for our weekend house guests. Somehow with all of the painting and decorating and general sorting out of the house and garden I managed to not have enough time. The ingredients were still on the kitchen work top so I thought I’d give it a go yesterday afternoon. 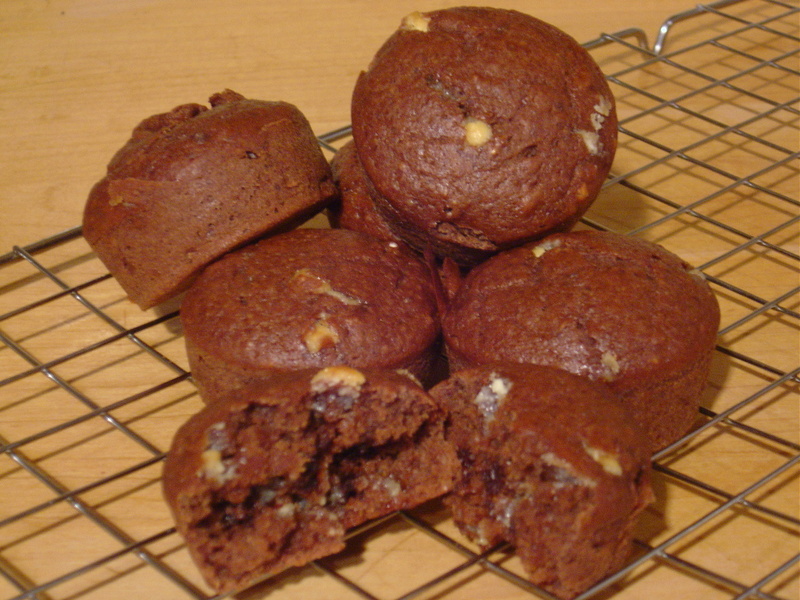 Double Chocolate Muffins from The Australian Women’s Weekly ‘Simply Light’ were the order of the day (only 2.5g of fat per muffin). Despite living in this house for a year I’ve not used the Aga for any baking – to tell you the truth I’m a little scared of what may come of it as the Aga is a tricksy little oven. The recipe makes 12 and I’ve only got a 6 hole muffin tray so I’m cooking in two batches. The first batch are here…. They’re cooked in the middle but look a little flat. Sadly I had to open the door a few times to check on progress. The doors are quite hefty and you can’t see or smell what’s going on. The second batch are here…. Looking a little more like ‘normal’ muffins! 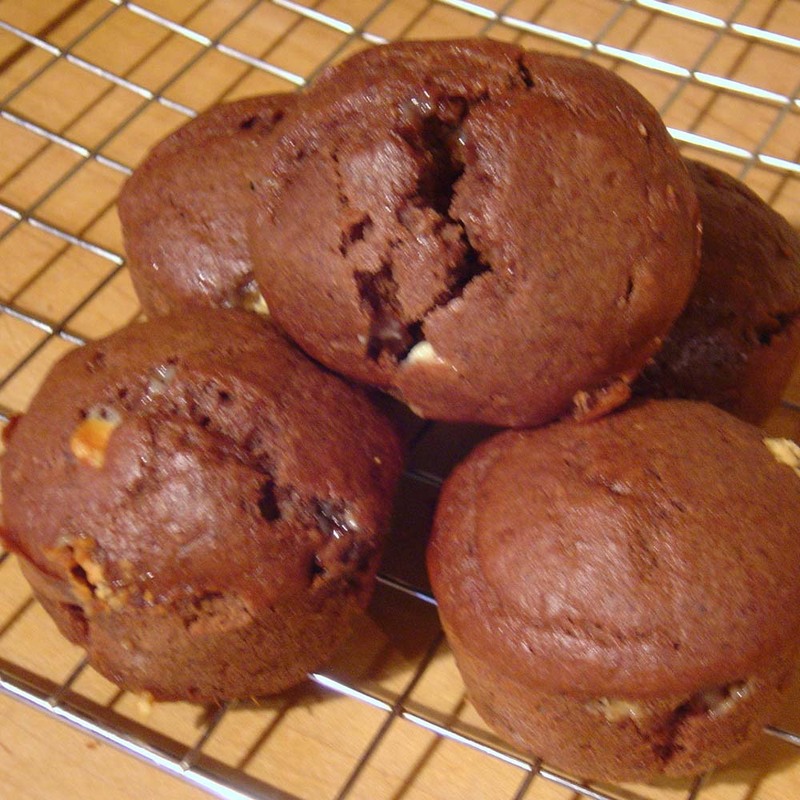 In any case they taste amazing….and only 2.5g of fat per muffin – bonus!